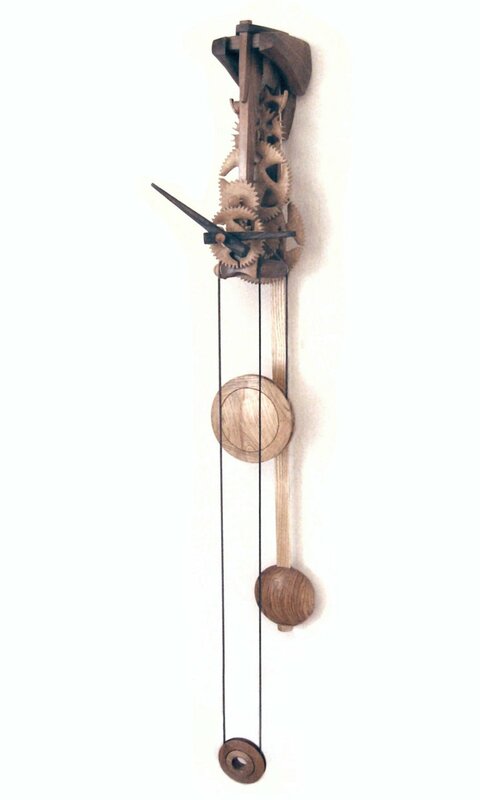 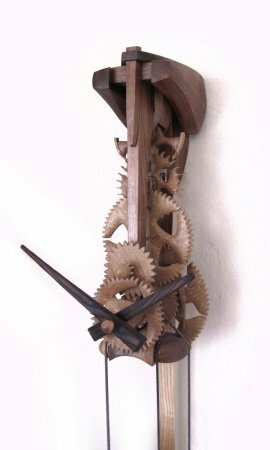 Clock 10.02, made in 2007. 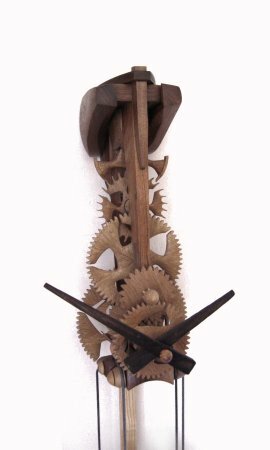 European Walnut frame, with Oak wheels and Ash Pulleys; the hands are scorched Ash. Small turned parts are Boxwood, the weight and pendulum bob are Ash with lead cores. This clock is on display in The Green Way Cafe, Matlock.